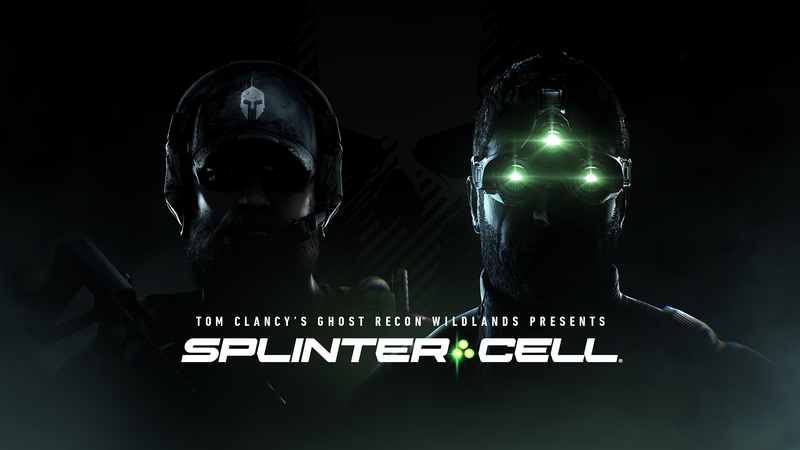 Today, Ubisoft announced that Tom Clancy’s Ghost Recon® Wildlands will introduce a free special Tom Clancy’s Splinter Cell®–themed mission featuring the legendary Sam Fisher voiced by Michael Ironside as part of Special Operation I, the first major update of the second year of post-launch content for the game. Players will be able to team up with Sam in this special crossover event for free starting tomorrow, April 10, on next-gen consoles and Windows PC. Additionally, players will have full access to Tom Clancy’s Ghost Recon® Wildlands during the upcoming free weekend taking place from April 12 until April 15, 2018. The free weekend will be available on all platforms and will give newcomers the opportunity to try out everything including Ghost War PvP mode, Predator mission, and Special Operation I. From April 10, a wealth of exclusive Tom Clancy’s Splinter Cell® content will be introduced to the Tom Clancy’s Ghost Recon® Wildlands main game and Ghost War PvP mode, including a new PvE mission, exclusive customization items and a new Ghost War PvP class. Players* will be able to play alongside Sam Fisher, the iconic character from the critically acclaimed Tom Clancy’s Splinter Cell® espionage series, and help him complete his new high-risk infiltration mission in fictionalized future Bolivia. This new special challenge is playable solo or with up to four players in co-op and is one of the most difficult missions the Ghosts have ever faced. The nighttime stealth mission will require players to use all the tools at their disposal to succeed. Upon completing the mission, players will be rewarded with exclusive items such as Sam’s iconic sonar goggles with a new night-vision filter and more. Even though the mission will forever be available in-game, these rewards will only be available until the Special Challenge ends on May 16. In addition to the rewards for completing the challenge, players can further customize and arm their Ghosts with the Splinter Cell Gear Pack, which includes new customization items and weapons such as the Karambit Knife; an exclusive close-combat blade inspired by Splinter Cell® Blacklist®, or the fully customizable SC 4000 prototype Splinter Cell assault rifle. Special Operation 1 will also bring the Echelon, a new assault class available in all PvP modes that will expand the Ghost War roster to 18 unique classes. The Echelon is a part of Sam Fisher’s Fourth Echelon team, and therefore has access to high-tech equipment as well as the Sonar Pulse ability that allows him to see enemies behind walls at short range and gain tactical advantage over the opposing team. Ghost War players will be able to get early-access to the new class by using their Prestige points or with the Year 2 Pass. Ghost Recond Wildlands is already available on PC, PS4, and Xbox One.